Home Food Tips	9 Best Pre-Workout Meals to Start Today! No matter what kind of exercises you subject your body to, having a good meal before your workout is as important as the workout itself. If you, like most people, are confused as to what to eat before working out, we are here to help. Your pre-workout meal largely depends on your personal energy consumption and preferred taste. Also, the duration you work out for and the time spent after the meal and before you actually start working out also matters. Given below are a few useful and healthy best pre-workout meals and their recipes that you can choose from, according to the time left for your workout session to begin. If your workout doesn’t start in the next 2 hours, you can afford to have a slightly heavy meal. 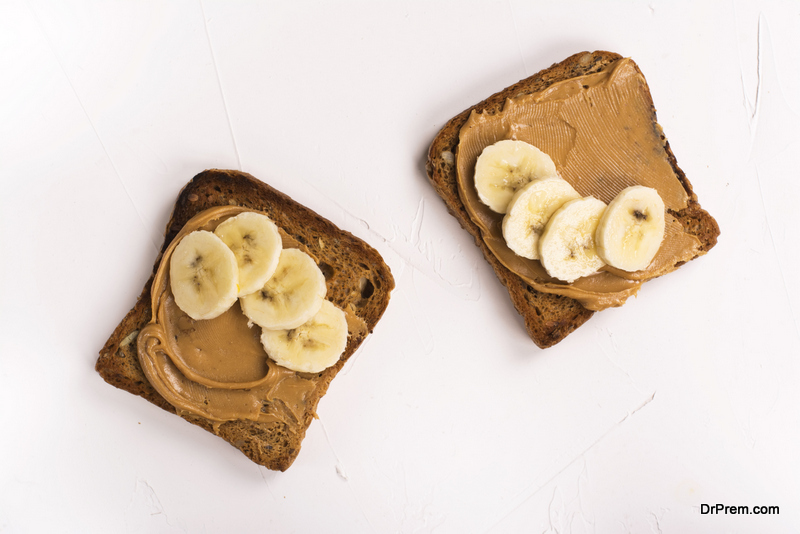 Make sure you load up on carbs, protein, and fats via the recipes to prepare your own pre-workout snack since your body will need that energy to sustain the exercise. You won’t end up feeling full since there will be enough time to digest the meal. Chop two bananas into slices, place them over multi-grain or whole-wheat bread, add a layer of cinnamon jam or peanut butter, and voila! Your quick snack intensely packed with nutrients is ready! You can eat 2-3 of these before heading out to the gym. Since you have a little time on hand, avoid going for a banana smoothie because that will keep you devoid of other nutrition of the bread and butter. 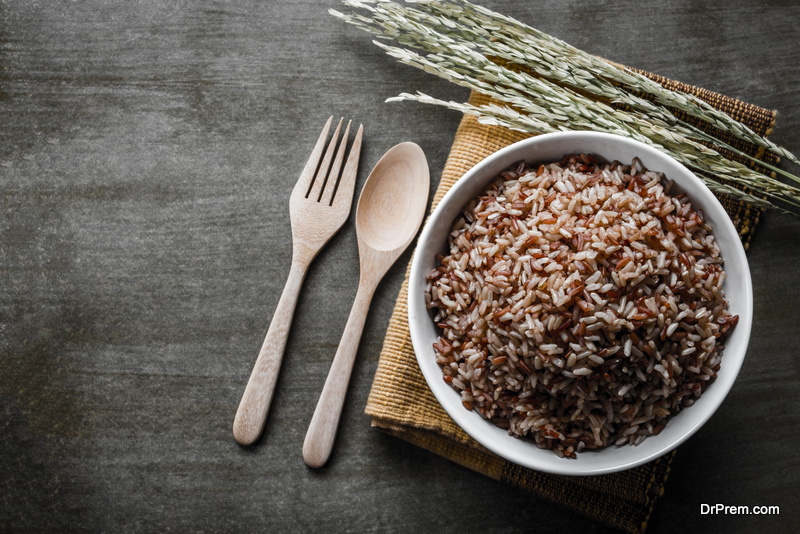 Brown rice is an excellent source of carbs. With this, you can even include whole veggies and roasted chicken to double its protein volume. Complement this nourishing meal with a fruit smoothie or whole fruit at the side and you are good to go! 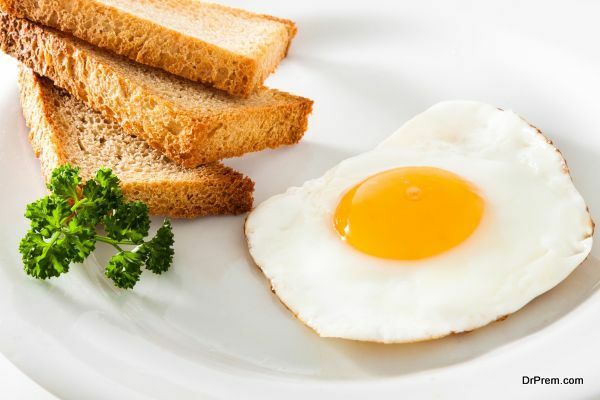 Whole eggs are an amazing source of protein and fat. You can have them boiled or made into an omelette with cheese and veggies. Include whole-wheat bread with the omelette and you will have enough energy to keep you going through the entire workout session. This is one of the most affordable ideas for pre-workout meals. 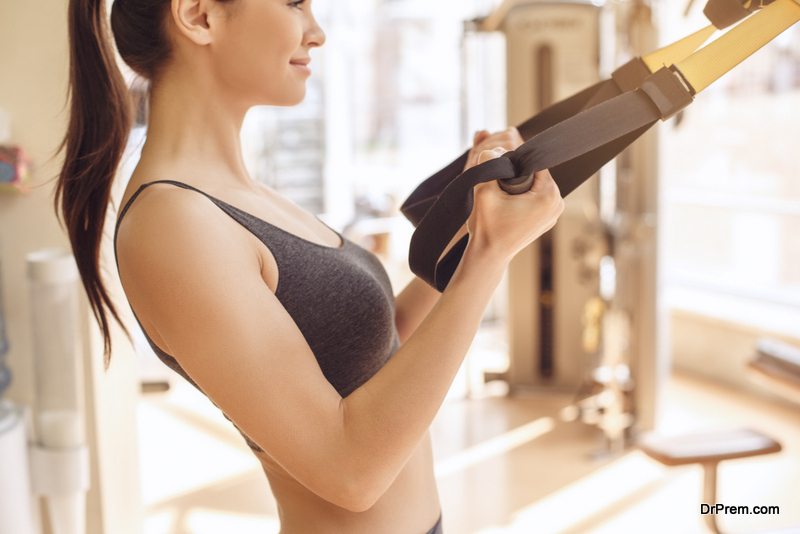 If you have an hour before your workout, you only have enough time to load up on essential nutrients without having to bulk up your physical food intake. The recipes to prepare your own pre-workout snack given below will ensure that you do just that without having your food get in the way of your workout. If you are wondering what to eat before working out, go for a heavy smoothie if you have at least an hour in hand before your work out begins. You can use protein powders, fruits like bananas and berries, and honey to be included in your smoothie. Now that you have 2 hours you can even have a whole fruit or fruit salad on the side along with this smoothie. 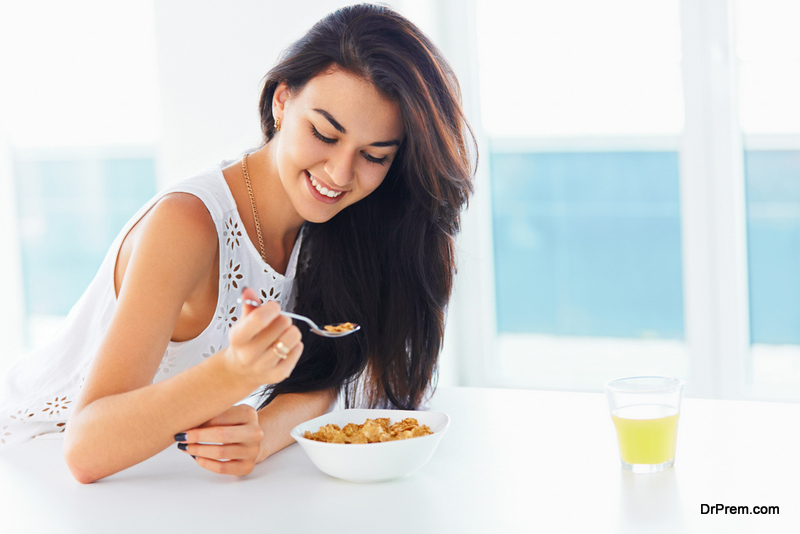 Milk combined with whole-grain cereal is one of the best options to consider if you are looking to gain more energy in less time and sustain it too. It’s better to use whole milk in this recipe unless you’ve been personally told to use only skimmed or low-fat milk. If possible include a little honey too. This is one of the best pre-workout meals to have if you have a moderate duration prior to your exercise regime. 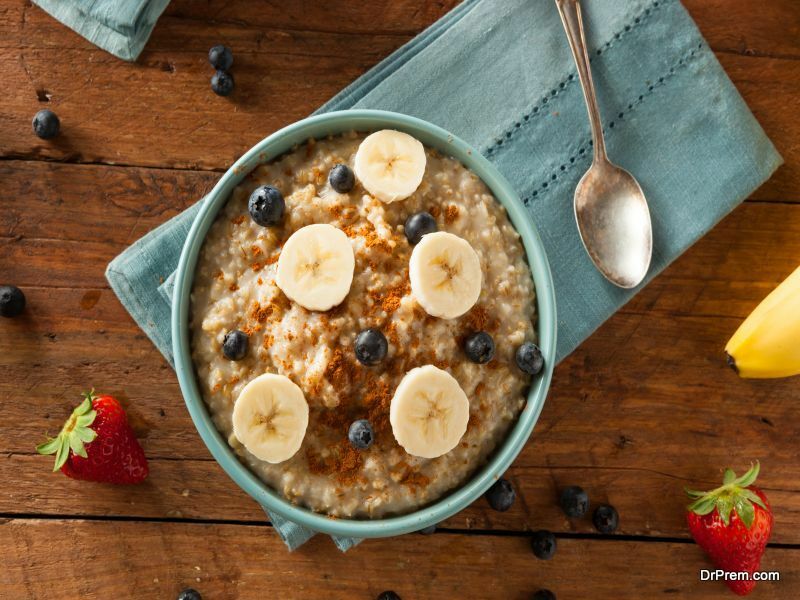 Oatmeal is, perhaps, one of the best pre-workout meals you can choose to have. It is similar to whole-grain cereal except that it is packed with much more nutrition than the latter. To increase it in value, top it up with a few banana slices or any fresh fruit in hand. You can even add protein powder to this recipe to improve it in nourishment. A couple of dry fruits on the side will be great too. If you are just about to head out for a run or to the gym and need to catch up on nutrition on your way out the door, these meals ideas will come in handy. Try these best pre-workout meals today for an instant boost of that much-needed energy just before you start sweating it out. These recipes work best for people who prefer working out early in the morning. If you are looking for some most affordable ideas for pre-workout meals, this is it. A cup of yoghurt blended with bananas or honey will pretty much suffice you the entire duration of your exercise. If nothing else, a bowl of plain yoghurt will also do the trick. Yoghurt is rich in pre-biotic bacteria that are good for your gut, increase your immunity, and improve your stamina almost immediately to aid in your intense workout. Bananas, watermelon, orange, apple or any fruit that you can lay hands on will be enough. If you have a couple of minutes on hand, chop these fruits and mix them up to create a fruit salad with salt and pepper, and have it just before you leave. Better still, blend these fruits together to make a fruit smoothie which will be nothing short of the other best pre-workout meals. You can even add a little yoghurt and honey to it to enhance its flavour as well as improve its nutritive quality. Prepare and keep this beforehand to avoid wasting time. Granola bars are pretty useful in situations when you don’t really have the time to prepare one of those exotic or best pre-workout meals in terms of appearance. Nutrition bars are an amazing source of instant energy. However, don’t make it a habit of eating only nutrition bars before working out. Save this option only for are situations when you have absolutely no time for anything else. The above-mentioned recipes are pretty much the guidebook to help you through your workout regime, which includes your pre and post meals as well. Apart from this, you can even mix and match a few ideas to create an entirely new recipe of your own which can also be added to the list of your best pre-workout meals.